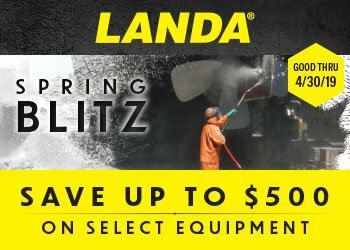 Like the PG Models, the Landa PC Series of cold-water pressure washers offer an array of options and features for cleaning multiple surfaces, but utilize direct-drive instead of belt-drive pumps. Each comes equipped with 50′ of Landa’s durable wire-braid high-pressure hose, and a thermal pump protector to prevent overheating while in bypass mode. 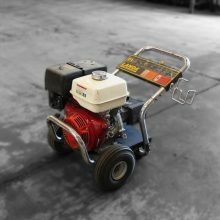 Shock-absorbing feet reduce vibration and prevent movement during operation, and handles on the front and back make these machines a breeze to load and unload. 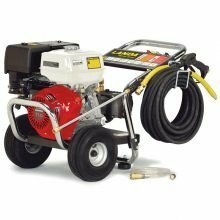 Like the PG models, the Landa PC cold-water pressure washers offer an array of options and features for cleaning multiple surfaces indoors and outdoors, but utilize direct-drive instead of belt drive pumps.